In the eight years since the devastating 2010 earthquake, women in Haiti have played a critical role in rebuilding the country’s economy. They’ve done it largely on their own, by saving money and starting new businesses. Among these businesses are several “lead entities” identified by the USAID Local Enterprise and Value Chain Enhancement (LEVE) Project, an RTI-led economic development program designed to stimulate job creation in key sectors of the Haitian economy. 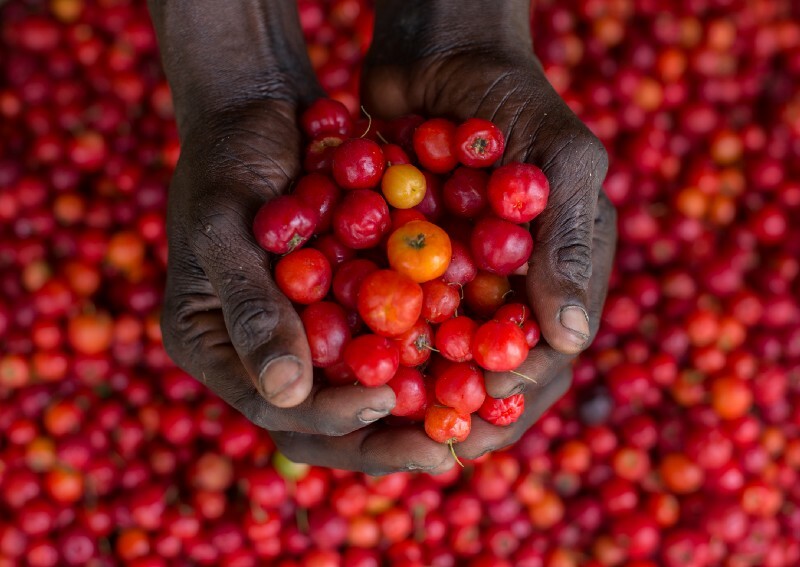 Through an integrated, incremental approach that includes technical assessments, recommendations on food security and production practices, capacity building, accounting and business training, business coaching, and grant funding, many of these firms have shown impressive results. 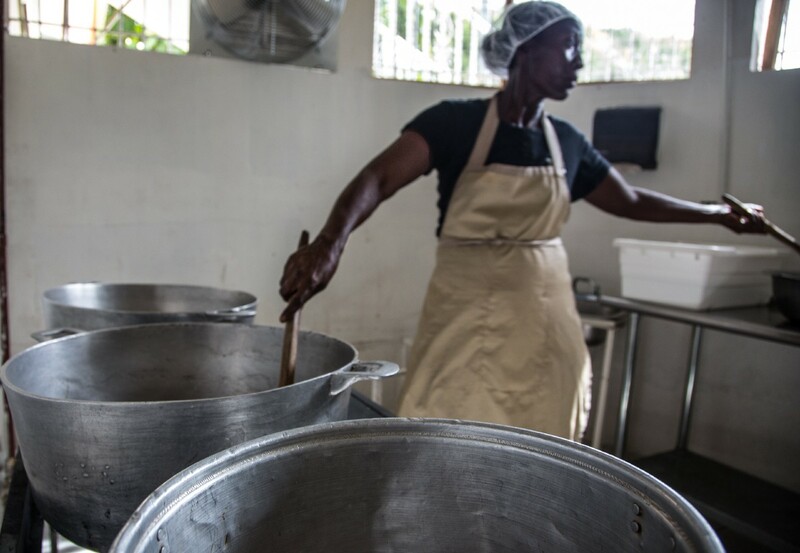 Empowerment — with a pinch of technical support — makes up part of the recipe for success at Délices Tropicales (Tropical Delights), a food processing company in Croix des Bouquets, Haiti. Founder and CEO Stephanie Cius Zamis oversees the production of pastries, fruit jams and the dessert “Chanm Chanm,” a local favorite made with ground roasted corn and peanuts. Stephanie Cius Zamis is the founder and CEO of Délices Tropicales, a food processing company in Croix des Bouquets, Haiti. 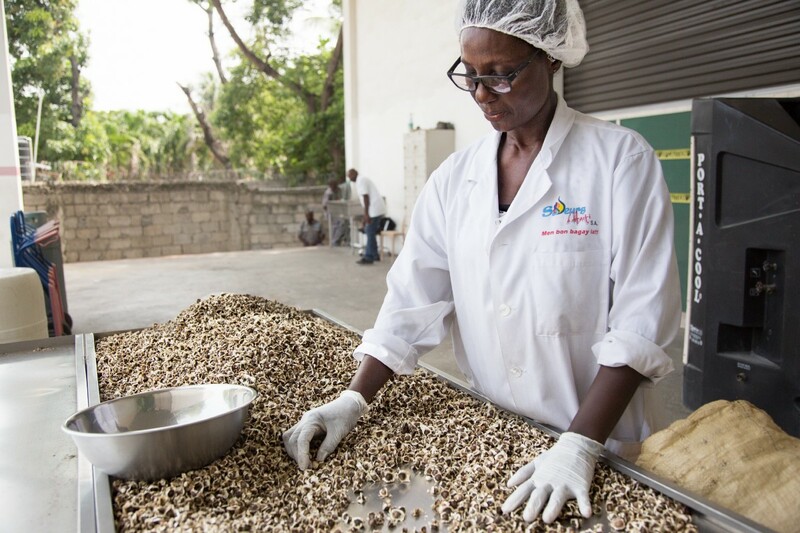 Through training and a cost-shared grant provided through the USAID/Haiti LEVE Project, she’s creating more jobs and more opportunities for the smallholder farmers who supply raw materials for her products. Established in 2010, Délices Tropicales grew rapidly in its first five years, generating more than US$27,000 in annual revenues on sales of fruit jam alone. However, as its outdated machinery began to break down, the company struggled to scale up production. It also faced significant barriers to operational efficiency, including unreliable energy sources, time-consuming packaging and assembly, and limited supplies of raw materials. That in turn has created more jobs at Délices Tropicales — 12 full-time, five part-time — and resulted in larger orders to the farmer microenterprises that supply the company with its raw materials. An employee at Délices Tropicales roasts corn and peanuts, the main ingredients in Chanm Chanm, a popular local dessert. Photo Credit: Patrick Adams/RTI International. 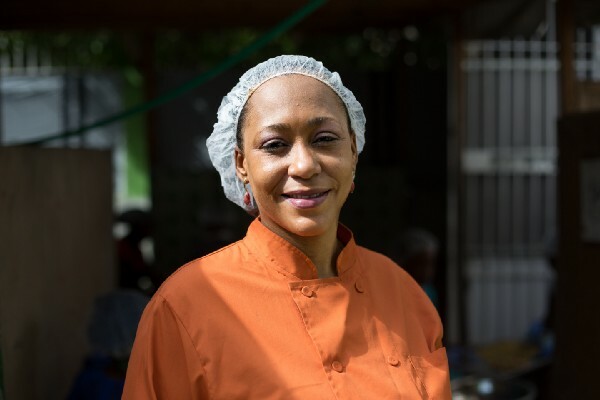 Like Zamis, Isabelle Laguerre Mevs, the founder and CEO of Star Industries S.A. (SISA), built her successful food processing company from the ground up. A maker of sauces, seasoning, condiments, and 100 percent natural frozen fruit pulps, SISA started out in 2012 as a small, backyard operation, and its main product, a hot sauce made with a local pepper, was an instant hit. Orders for “Sauce Piment Bouc” began pouring in from hotels, restaurants, and supermarkets across the city. But as demand rose, SISA struggled to keep up. Using small, handheld blenders, Mevs and staff could produce only so much of their sauces and seasonings. And with just a few small freezers, they couldn’t store large batches of fruit for processing at a later date. The company needed capital to upgrade its equipment and increase production, but due to high interest rates, a bank loan was out of the question. Moreover, SISA needed expert advice on improving its production process, something no bank could offer. So when Mevs learned of USAID’s LEVE Project, she wasted no time becoming involved. grant from the USAID/Haiti LEVE Project. Photo Credit: Patrick Adams/RTI International. With technical support, training, and a cost-shared grant from LEVE, SISA was soon able to install a dual compartment walk-in cold room allowing for the storage of fruit batches and frozen fruit pulp. The company also added a new paste mill, making it possible to produce larger volumes of seasonings and sauces. An employee at woman-owned Ayiti Natives sorts moringa seeds sourced from local farmers, which will be used to produce beauty products. Moved by what she witnessed in Cité Soleil, Sada decided to parlay her beauty business experience into a social enterprise — one that would support the development of women, showcase Haiti’s natural riches and contribute to community development. 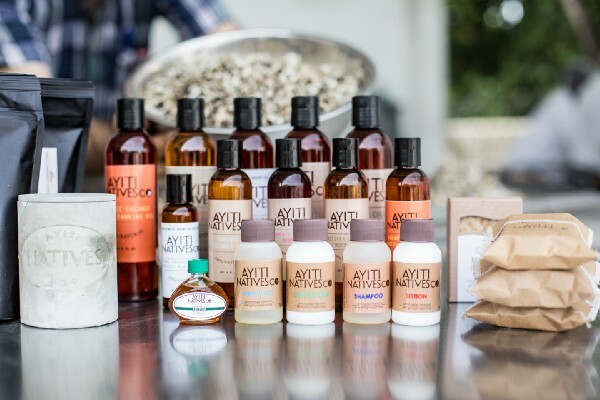 In December 2011 she launched Ayiti Natives, a beauty and health company specializing in high-end natural soaps and body oils for health-conscious consumers. Ayiti Natives supports women through the sourcing of raw materials from women-owned cooperatives and smallholder farmers, including coconuts and, most recently, moringa seeds. Recently, Sada and staff embarked on a new moringa oil product line. Long used to combat malnutrition in sub-Saharan Africa, moringa is also highly valued for its antioxidant properties and skin-rejuvenating benefits. “I started asking if people know this tree,” recalls Sada. “And they said yes, it grows in Haiti.” After first using the leaves as a nutritional supplement in meals provided at the school, Sada drew up a plan for producing moringa oil-based skin care products. And with support from USAID LEVE, Ayiti Natives was able to scale up the new line. increase sales from US$35,000 to US$500,000 in the first year alone. Indeed, Sada wants above all to empower women in Haiti — to help them achieve the economic independence they need to support their families and control their own lives. For Sada, as for her fellow female entrepreneurs, it’s still an uphill battle. In Haiti, as elsewhere, the deck is still stacked against women. But the LEVE support has boosted their prospects as never before, and its effects are felt far beyond their own bottom line. Patrick Adams is a freelance writer and photographer who reports on public health and environmental conservation. He holds an MPH from Emory University and is based in Atlanta.